It’s a new favorite dessert! But, in reality, it’s the oldest favorite dessert on the ever-loving planet. I’ve been making this since high school, guys, which means 15 years. That’s a long time for someone not yet 30, so go with me on it. Old! When I was in high school in Japan I was a cheerleader, and for a few years we had this epic coach named Rochelle. She was a fabulous cook, and so were several of the girls on our team (I hate the word squad), and so once upon a time she compiled a little booklet of some of the fav recipes we had at our sleepovers, and this was one of them. When I was cleaning out the soon-to-be nursery I found the booklet, and WHOA have I ever been so happy to find a recipe. 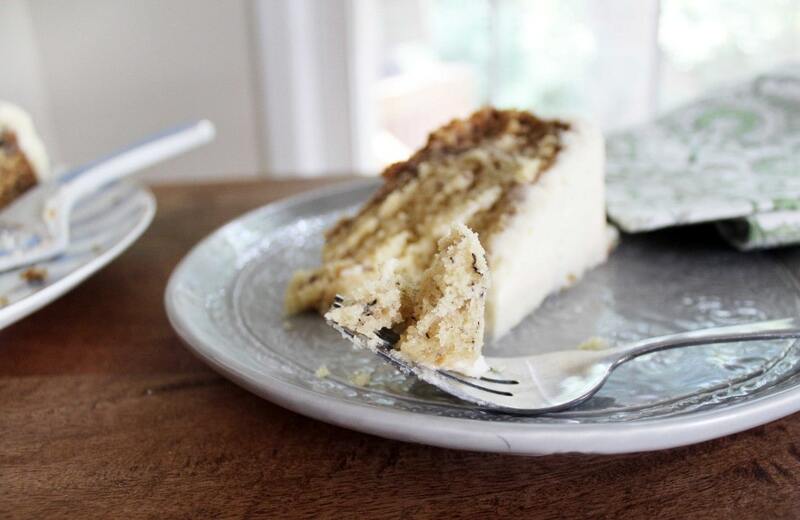 I’d though about this cake off an on the past few years, and here it was, ready for me to make it again. 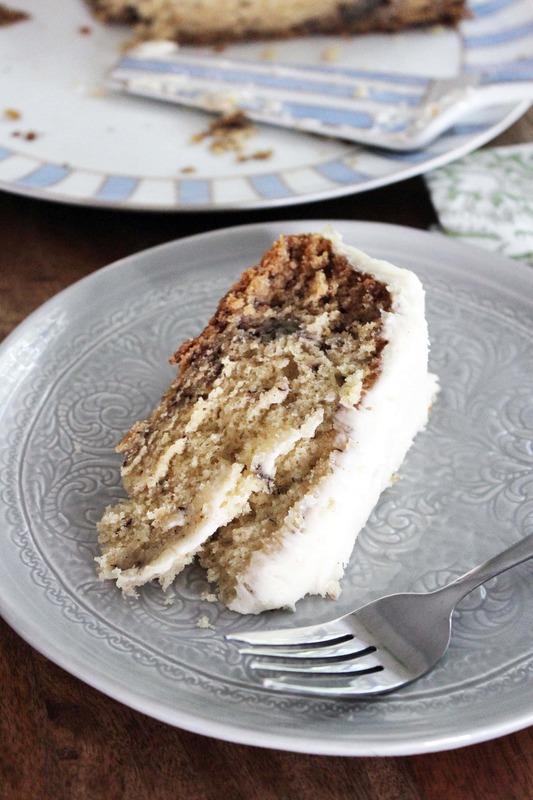 Ashley’s banana cake. I made this all. the. time. 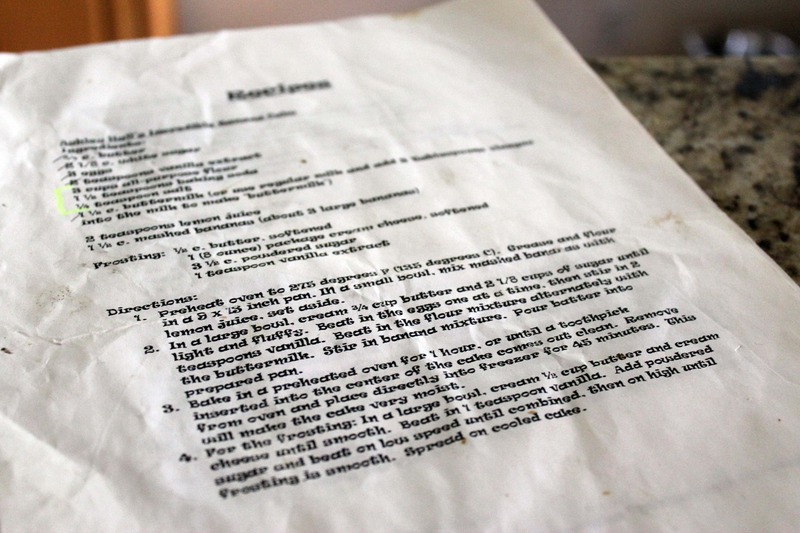 in high school, and it was and still is just the perfect recipe. I used to make it in a 9×13 pan, but this time I made it in a springform pan, which worked GREAT and was really pretty for a birthday. There’s no banana extract or anything fake in this recipe, so we’re looking at a super decadent banana bread. But…maybe not for breakfast. Or maybe for breakfast! It’s got dairy and fruit, after all. 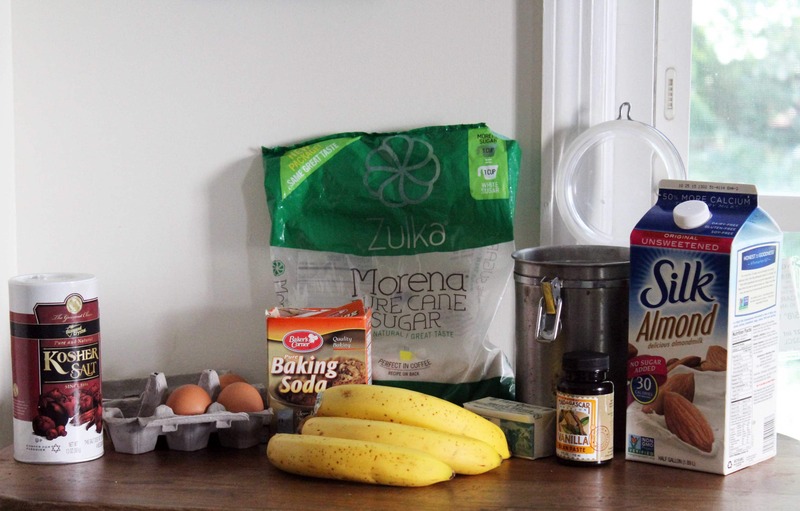 You need butter, sugar, eggs, vanilla, flour, baking soda, salt, buttermilk, lemon, and bananas for the cake. And, it starts like a lot of other cakes. Preheat the oven to 275F. 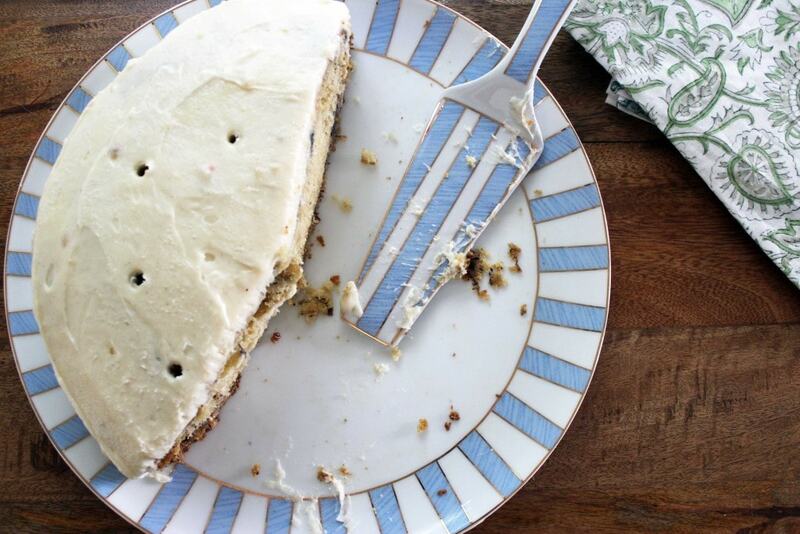 It’s not an error – this cake bakes super low and it’s AWESOME for the moisture content of the cake later on. Mix the flour, baking soda, and salt in a bowl, set that aside. Mix the bananas and lemon juice in a bowl with a fork, set those aside. Then, we build batter! 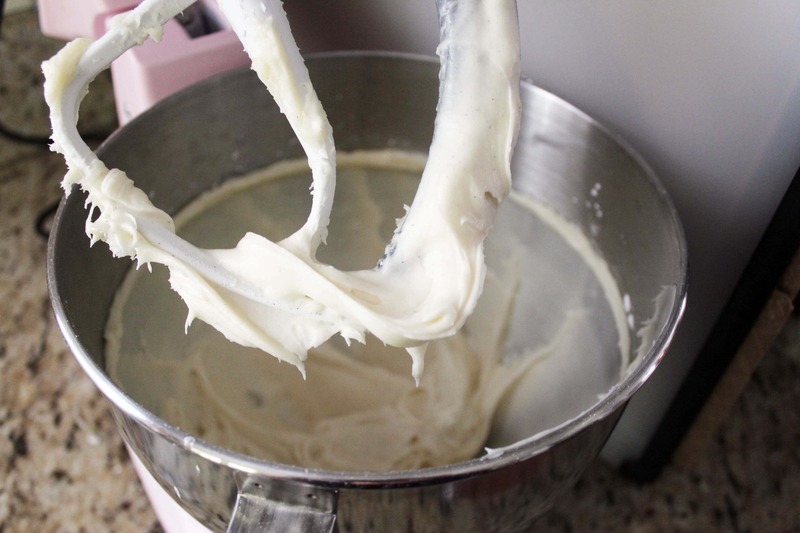 Use an electric mixer to cream the butter and sugar together for about a minute. Then, add the eggs one at a time and vanilla to make a smooth mixture. Try not to eat this. Then, add the flour mixture, alternating with the buttermilk, about a third at a time, until you have a smooth batter. 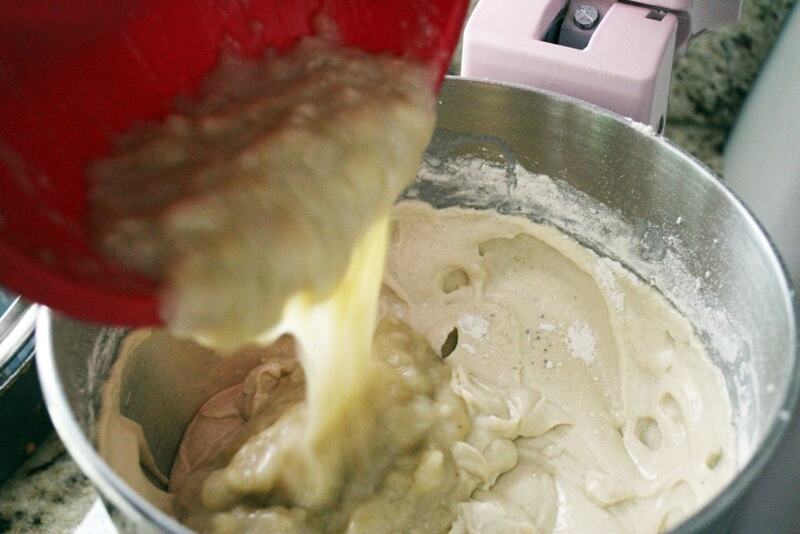 Don’t overbeat the mixture, just stop as soon as everything is done combining. Then, gently stir in the bananas. Now, grease whatever pan you’re using and pour the batter right in! 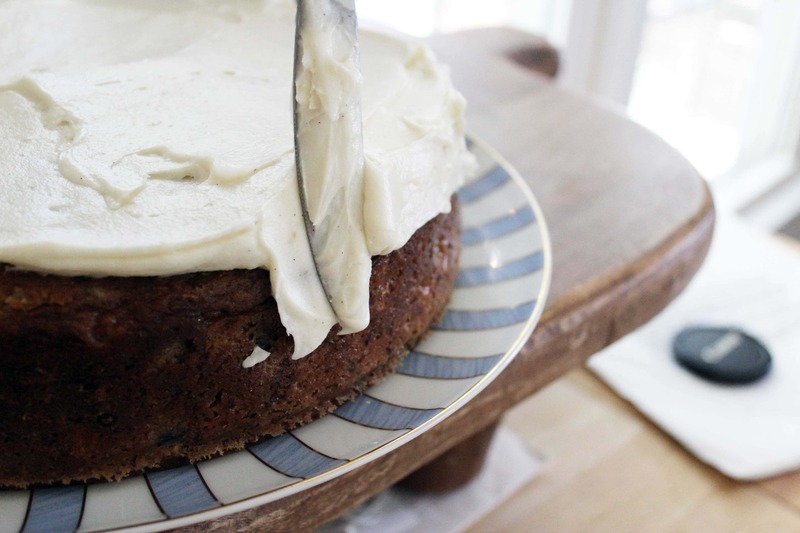 Bake the cake for an hour or more until a toothpick comes out clean. 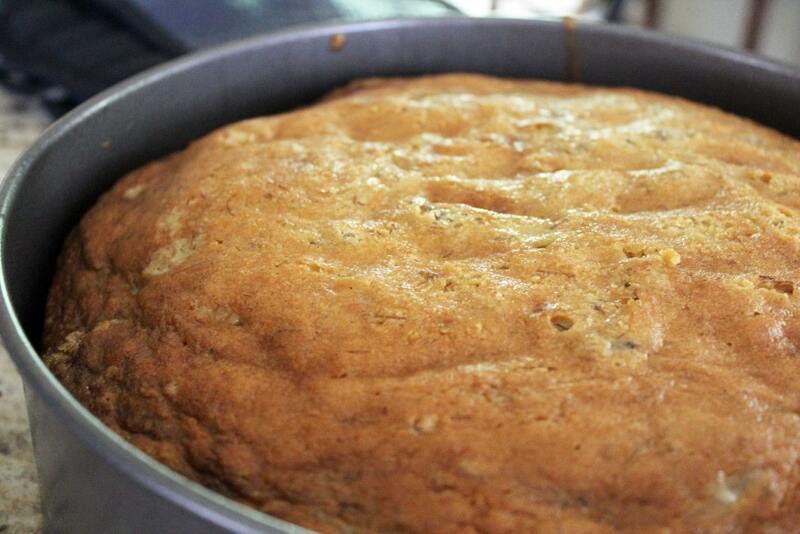 The baking time will depend on your baking vessel, so after an hour just check the cake every 10 minutes or so. As soon as the cake is done, STICK IT IN THE FREEZER. This, too, works on the moist-cake idea. After 45 minutes, take it out of the freezer. 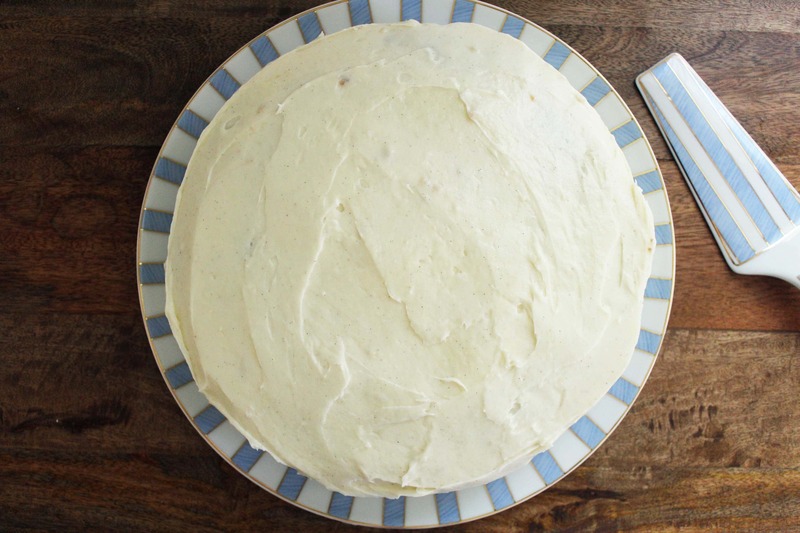 While the cake is cooling in the freezer, make the icing! Cream cheese, butter, powdered sugar, and vanilla. Mix everything together with a mixer for a few minutes until it’s super duper smooth, and try not to eat THAT. It’s hard. If the mixture seems really thin, add a little bit more powdered sugar to firm it up. …and kind of hope for the best. 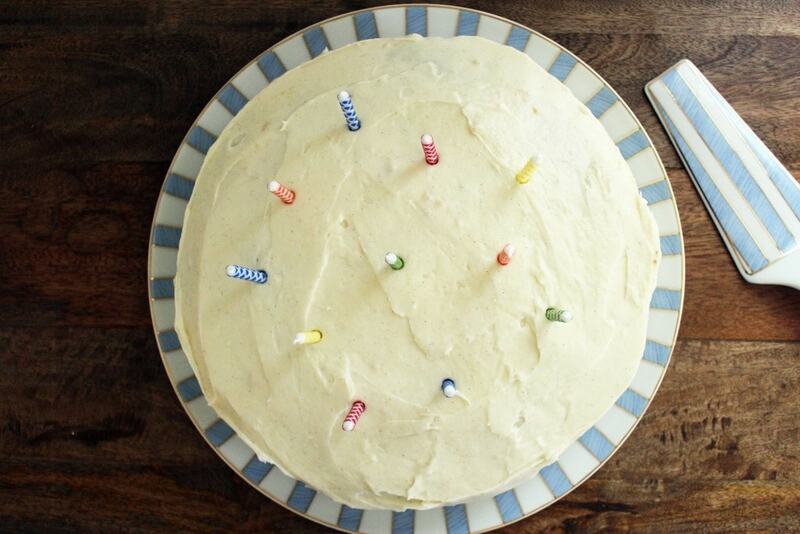 Candles and sprinkles kind of help. THIS CAKE, though. 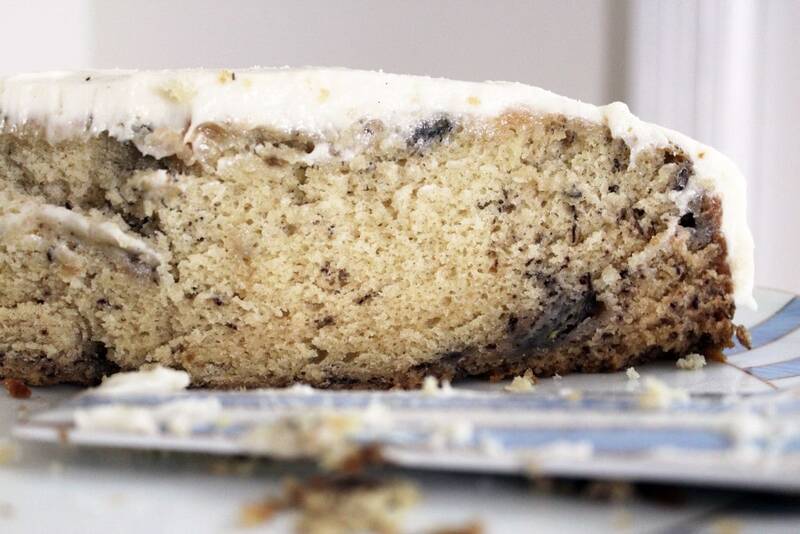 The flavor isn’t heavy on banana, but the cake is dense and moist and all the words we love to hate but really want to be involved in our cake at the same time. The recipe works well every single time I’ve made it for FIFTEEN YEARS and you just need to try this asap. You’ll love it! Preheat the oven to 275F. 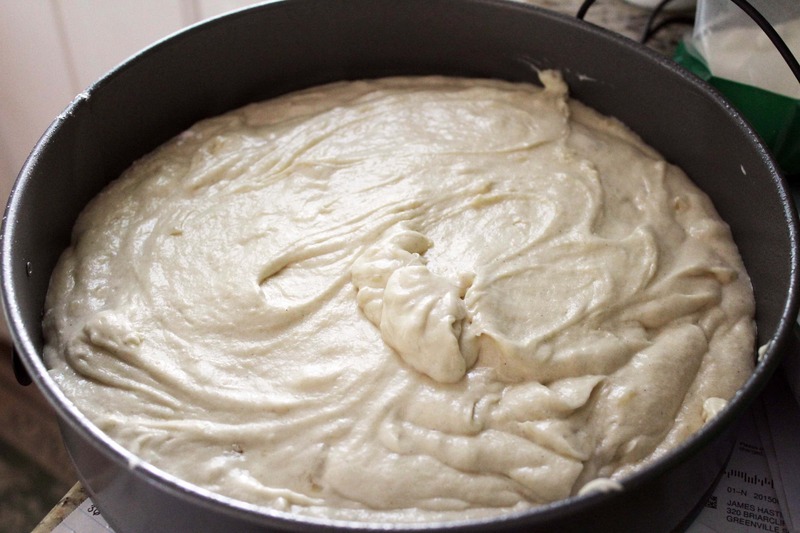 Grease a cake pan (see below for bake time note) with butter or cooking spray. 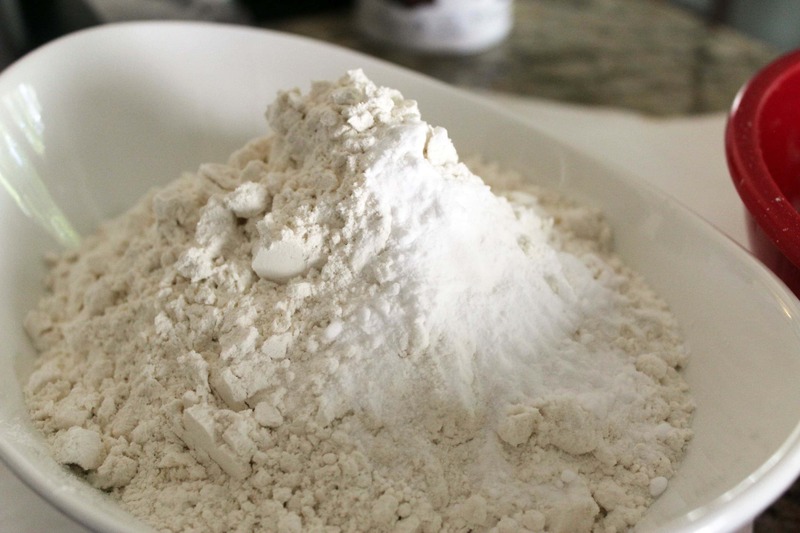 Mix the flour, baking soda, and salt together in a bowl. Set aside. 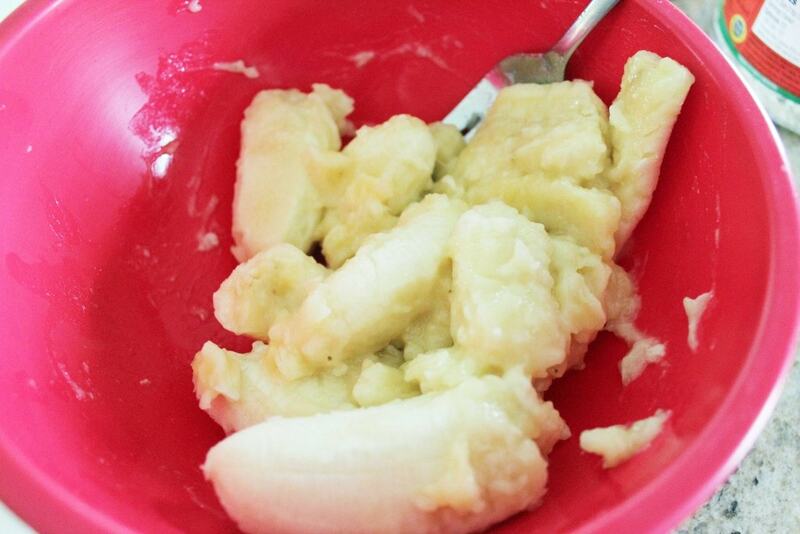 Mix the mashed bananas with the lemon juice in a separate bowl, set aside. 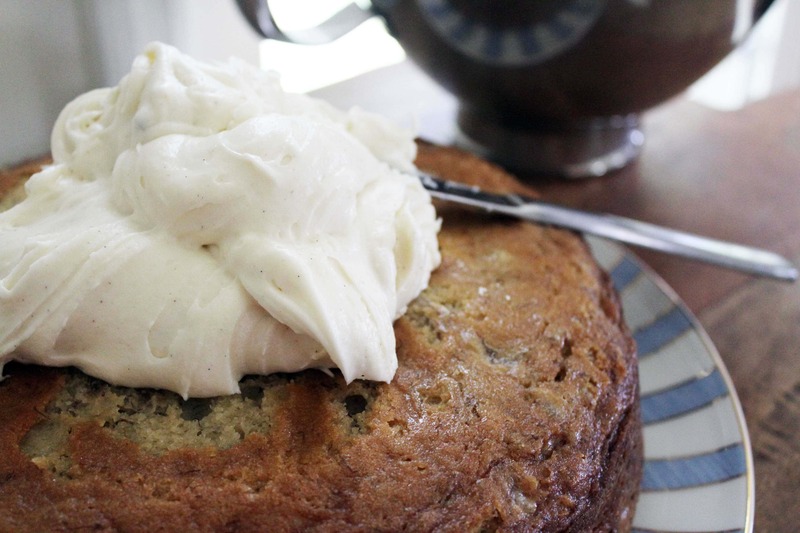 With an electric mixer, cream together butter and sugar until light in color and fluffy. Add the eggs one at a time until fully mixed in, then add the vanilla. Alternate adding the flour mixture with the buttermilk, about 1/3 of each at a time, until a smooth batter forms. As soon as the ingredients are mixed in, turn off the mixer. Stir in the banana mixture and pour the batter into the pan. 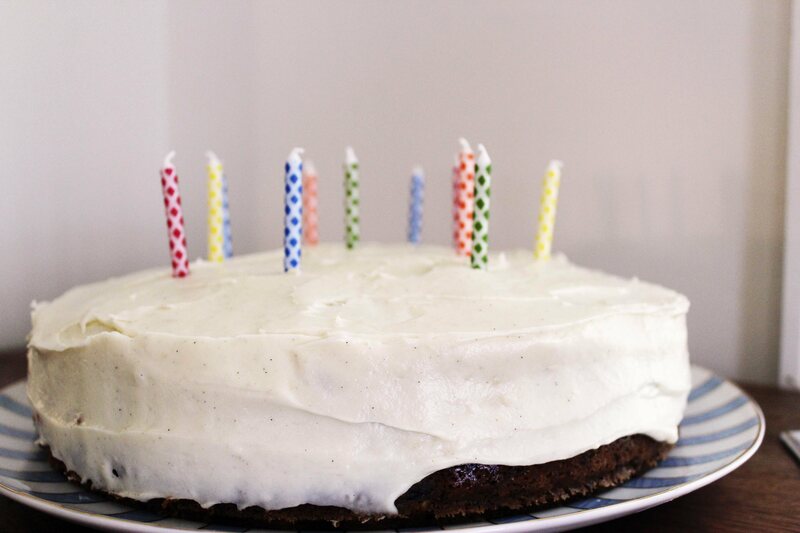 Bake the cake for 1 hour or as long as it takes for a toothpick, fork, or cake tester to come out clean when inserted into the middle of the cake. This may take up to 90 minutes for thicker cakes. When the cake is fully cooked, place immediately into the freezer for 45 minutes, then remove. 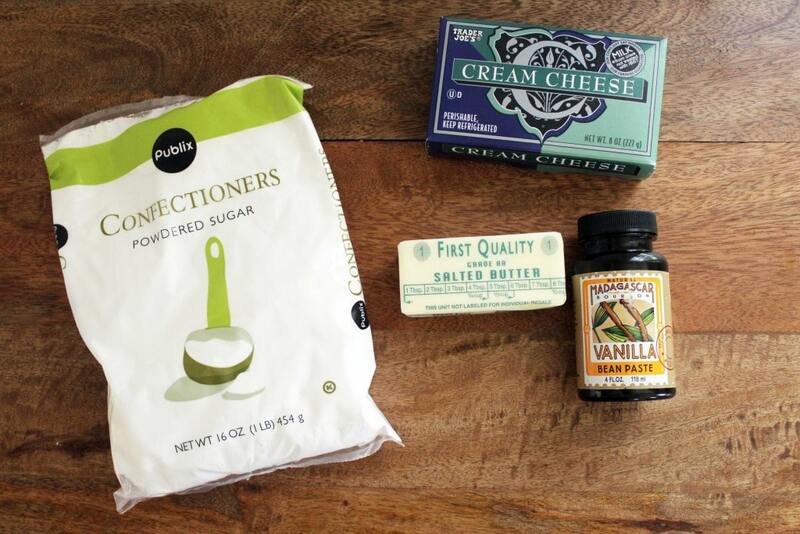 For the icing, beat the butter, cream cheese, powdered sugar, and vanilla together until very creamy and smooth. Add a tiny bit more powdered sugar if needed to thicken the frosting. Spread over the cooled cake. Cook time will depend on what type of pan you use for baking. Keep the low temperature regardless, and begin with 1 hour of cook time. After that, test every 10 minutes until a toothpick or tester comes out clean. Cupcakes will take closer to 45 minutes, a large springform took 85 minutes. You'll know when the cake is done by the tester! If you don't have buttermilk, milk with 1 tablespoon of vinegar or lemon juice mixed in works fine.